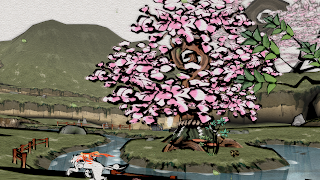 Okami HD is a game shaped like a Japanese fairytale. It instantly gets you immersed through its simple narrative and beautiful designs. At parts it did remind me of Shadow of the Colossus and even Ico in terms of design and simplicity. So this story begins in the games past where we are introduced to a flourishing village known as Kamiki which is surrounded by beautiful cherry blossom trees. At the annual festival a young maiden called Nami was offered as a sacrifice to Orochi, a fearsome cave dwelling beast. Nagi, harbouring a secret love for Nami was enraged by this sign. Determined to put an end to Orochi once and for all, Nagi travelled to the beasts cave. After an exhausting battle, Nagi looked like he was about to meet his end until a white wolf called Shiranui appears as if to protect him. Shiranui and Orochi engage in a fierce battle and with the help Nagi, manage to seal away the beast instead of defeating it. 100 years later, a mysterious figure removes the sword that binded the beast in an attempt to prove the legend wrong. After Orochi makes its return and covers the land in darkness, the wood sprite known as Sakuya who protects Kamiki village appears and using the last of her power, calls out to Amaterasu Okami, a descendant of Shiranui and pleads for her to save the land. 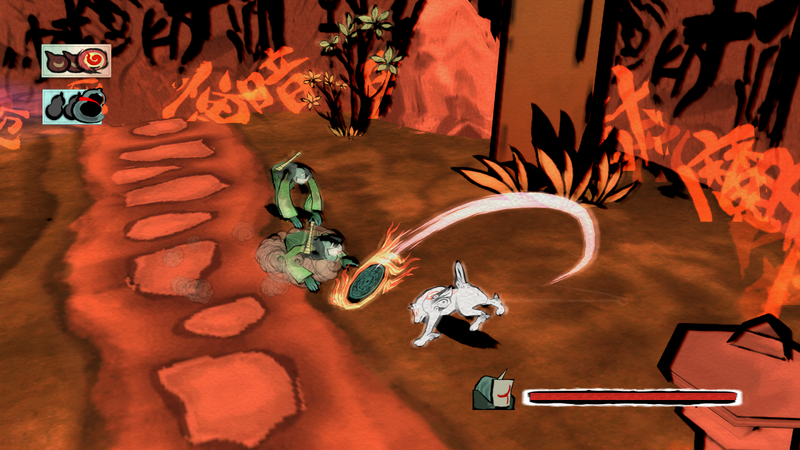 Okami's story bares a great resemblance to many Japanese fables, myths and legends. It's the same theme of light conquering over darkness and saving humanity. Having said that, it’s the small side characters like the village people and the small bug Issun that make this story more enjoyable, funny and engaging; and to be honest they seem to have a lot more personality then the main character Okami. Playing Okami HD, You feel like a god for a while, in charge of this world that you are in. The abilities you have only accentuate that feeling with powers such as control over day and night, control over the wind, the ability to rejuvenate anything you like and sprouting flowers and plants. I whip my wheel back and forth. I thought the game difficulty was all over the place, you expect a game to get harder as you progress, but in Okami HD the difficulty kind of moderates. I liked this quality about Okami, because it keeps you engaged and you really can't predict what will pop up next or how hard it will be. This is one title that seems to be very poetic and aesthetically pleasing. The only down side being that there is no way to actually skip the cutscenes. So every time you begin a new adventure, you’re going to have to tolerate them. The game constantly has new things to offer and there are no repetitive mini games or formula that is easily decipherable. 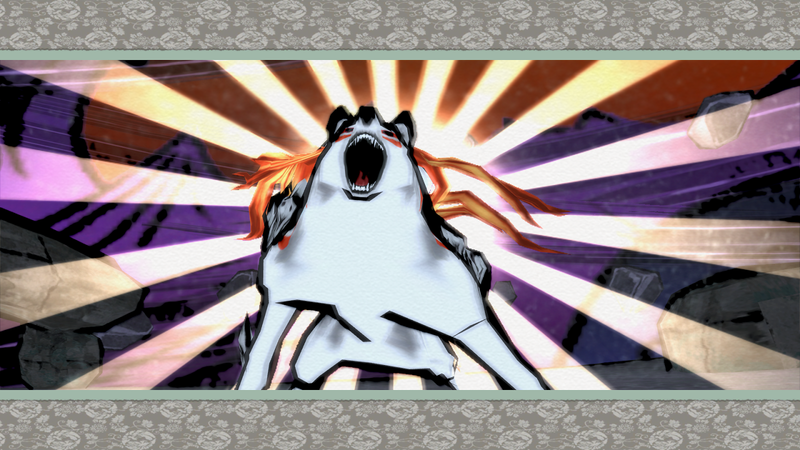 Okami HD’s visuals are absolutely brilliant! The colours are so vibrant and compliment the theme of the story well. It must have been a huge risk to make the game in a “moving painting” style but I believe it was done really well and the creators pulled it off to a high standard. The wonderful calligraphic style reminds you of the prints done by Hokusai or any other Edo period Japanese artist. The vast landscape that you have for yourself to explore is mesmerizing, for a moment you really feel like you are lost in a Japanese fairytale. The serene soundtrack in this game compliments the visuals really well, very tranquil and peaceful. I thought that the animation could have been smoother as the movements did look stiff at times, and the repetitive computerized sounds do get very annoying after a while. 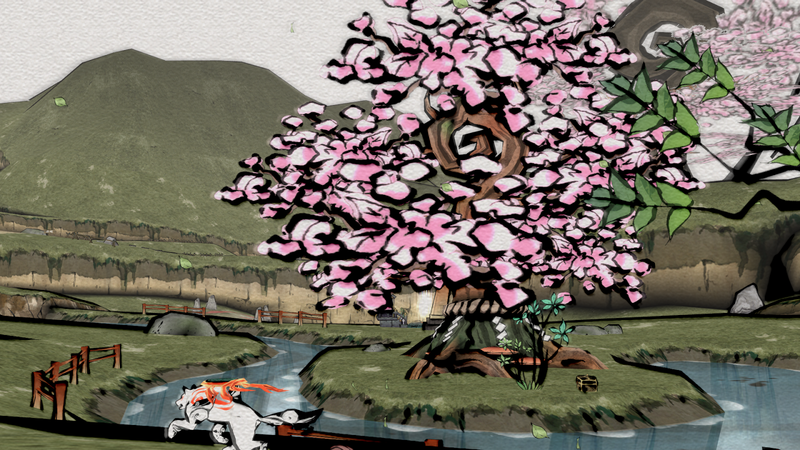 Okami HD is one of the most beautiful games I’ve played in a while. Great action and smart puzzles balanced with lovely graphics. The only downs I felt were the long cut scenes and the computerized noises. 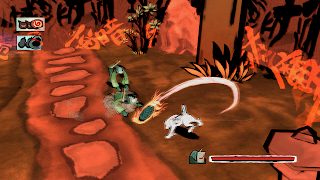 Overall Okami HD is a title that allows you to enjoy it to its fullest. Just when you think it’s all over, it has a lot more to give.